A wildfire that broke out Saturday evening on Vandenberg Air Force Base had grown to at least 400 acres overnight, forcing officials to delay the scheduled Sunday morning launch of an Atlas V rocket. As many as 250 firefighters reportedly were deployed to the blaze, which was dubbed the Canyon Fire and was burning on South Base, the area south of West Ocean Avenue (Highway 246) southwest of Lompoc. VAFB firefighters were assisted by crews from the Santa Barbara County Fire Department, which sent several engines, bulldozers, a hand crew and an Air Support Unit helicopter. Before night fell, air tankers and other aircraft also were in on the attack at the 99,000-acre military base. By 10:30 p.m., VAFB officials said the fire had burned 50 acres near Arguello and Santa Ynez Ridge roads. As of Sunday morning, the fire’s footprint covered 400 acres, according to county Fire Department spokesman Mike Eliason. 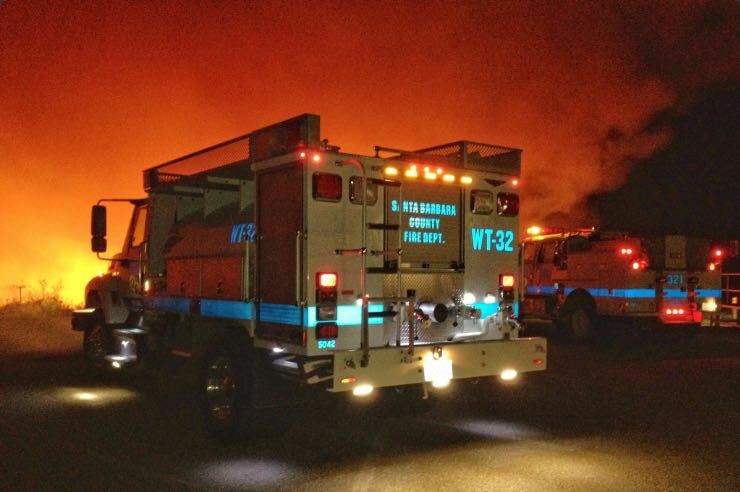 According to emergency dispatch reports just before 10 p.m., flames were moving toward Honda Canyon on South Base and had jumped bulldozer lines. Honda Canyon is the site of a deadly 1977 wildfire that killed the base commander, the fire chief, an assistant chief and a fire bulldozer operator. South Base currently has an Atlas V rocket sitting on Space Launch Complex-3, with its WorldView-4satellite on board, in anticipation of Sunday’s launch attempt. 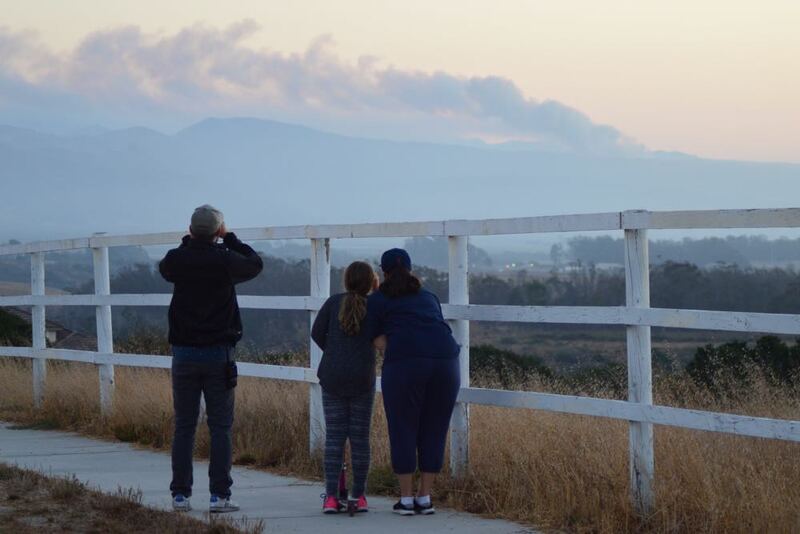 The fire appeared to be some distance away from SLC-3, but VAFB officials said Sunday morning that the rocket launch attempt had been delayed because of the firefighting effort. A new launch attempt won’t occur before Tuesday morning, United Launch Allianceofficials said. “No facilities or infrastructure have been damaged as the fire is located in a remote canyon between Arguello and Santa Ynez roads, and crews are working to contain the blaze,” VAFB said in statement late Saturday. The dearth of information from the Air Force about the fire — and the direction flames were moving — left owners of horses boarded at La Salle Stables, at 451 Lasalle Canyon Road adjacent to South Base, wondering whether they needed to prepare to evacuate their animals.